When you need to evolve your access and aggregation network, look no further than a refurbished Tellabs 8606 from Worldwide Supply. This Managed Edge System is designed to work with the Tellabs intelligent network management to be a scalable, flexible path to network evolution and management. We bring used Tellabs 8606 units back up to OEM standards so you can safely deploy them to meet increasing capacity requirements and new configuration dynamics required by today’s mobile and business service network demands. Working with a single Ethernet backhaul platform, the 8606 will support your efforts across Ethernet, IP, MPLS, TDM, FR and ATM. It’s a smart choice when you’re working to bring those 2G and 3G networks up to HSPA and LTE configurations. 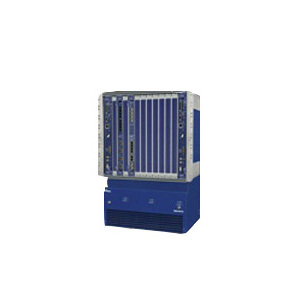 The Tellabs 8606 is designed to give you a single, long-term platform that can meet changing needs for mobile RANs and converged networks. You’ll have access to a platform that understands and can manage all of the technology and media required in mobile network convergence and support IP and Ethernet efforts as well. Cut operating costs with a smarter GUI toolset that keeps you on track across the whole service lifecycle and can automate network processes for simpler and faster modifications with fewer human errors. The platform is built with cost reduction in mind and you’re able to make the flexible access platform even more affordable by choosing a used Tellabs 8606 from Worldwide Supply. You’ll have all the reliability of straight-from-OEM gear and a leading warranty but at a major discount compared to those OEM prices.